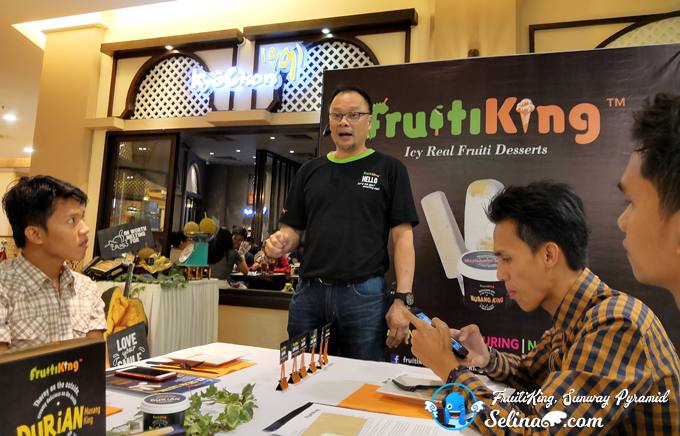 Fruiti King is a fruit based ice cream company from Klang Valley in Malaysia. 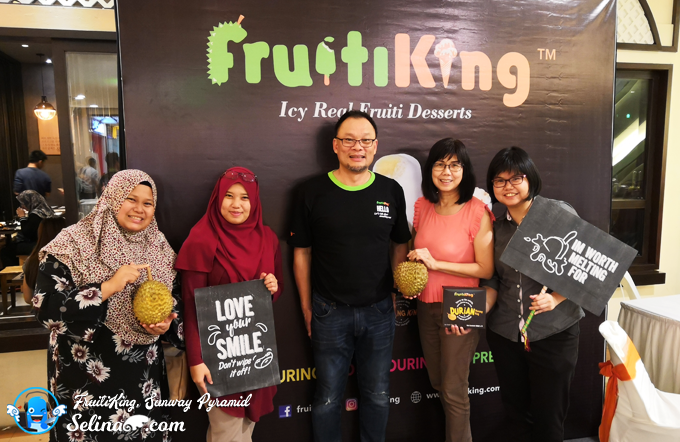 They do the 100% local real fruit icy dessert and launched new kiosks, which located at Sunway Pyramid in Petaling Jaya, Lot 10 in Bukit Bintang and KLIA2 in Sepang. 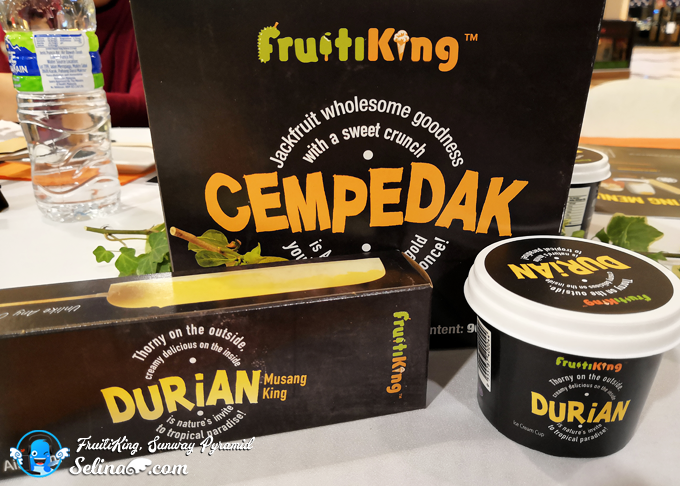 Mr Max Teh, Founder and Chief Evangelist of Fruiti King, also be a fruit and ice cream lover, so he also inspired to create a best recognised icy dessert brand which promised the real of natural fruity taste of ice cream - Musang King, Cempedak, and Durian, are best choice of people love to eat! They have their history of story begin with the local ice cream as "ais krim potong" in Ipoh. Their "ais kirm potong" are very known by local people who buy from the supermarket and convenience stores only. 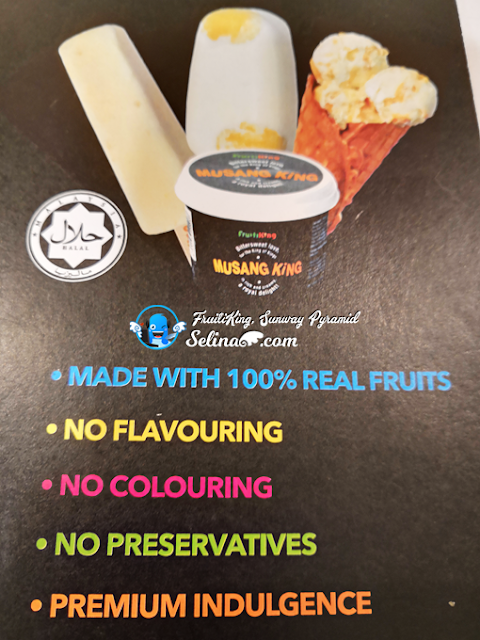 Now, they believe that they can do a very home-made of ice cream based on the 100% real fruit, especially Durian, Mango and Cempedak, which be favored by Malaysians. 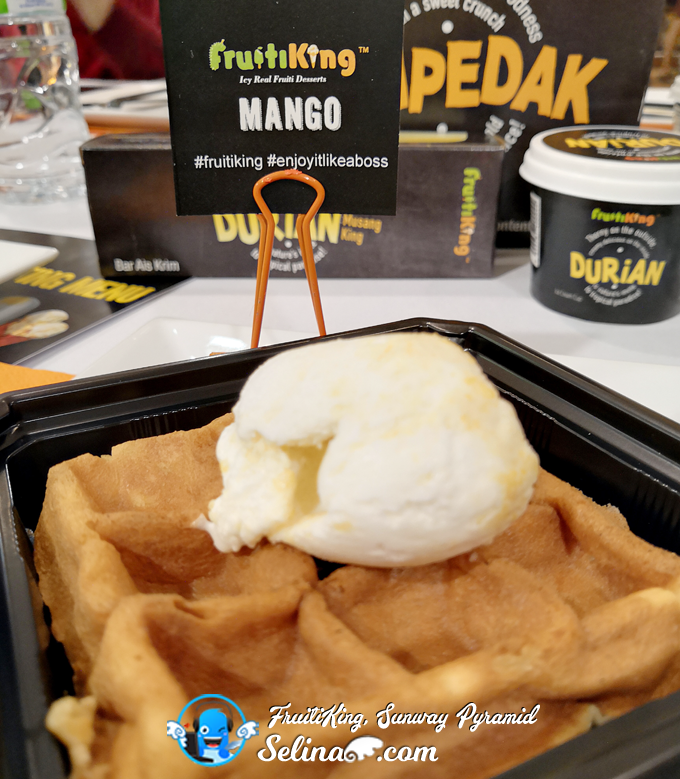 So, their vision created to get be recognized the "Fruiti King" brand by using fresh fruit, within no flavouring, no colouring, no preservatives, and premium indulgence. 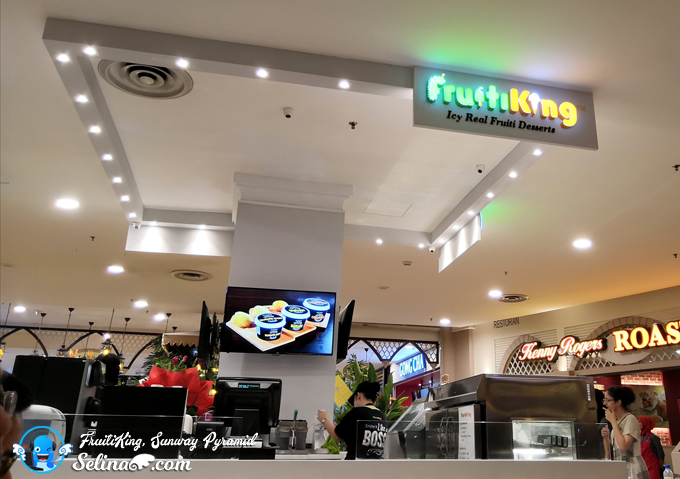 My mom and I invited to attend our first time series of all-you-can-eat ice cream buffets at the Fruiti King kiosk at Sunway Pyramid Shopping Mall. 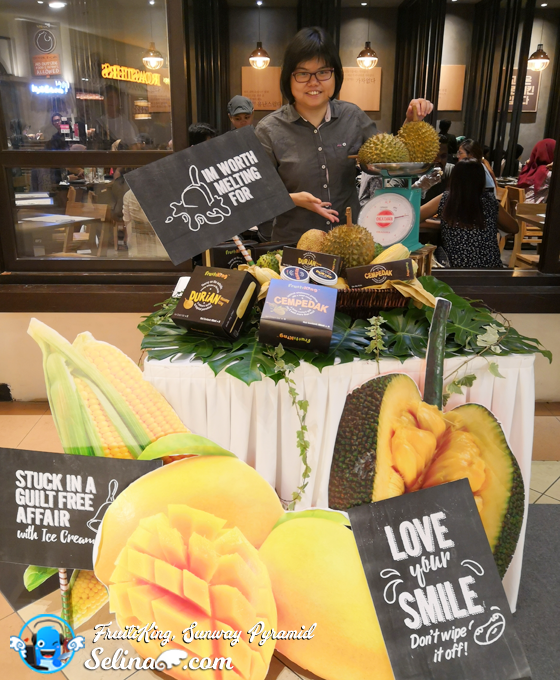 They will served the different of types - potong premium, scoop, Fruiti waffle, Fruiti shake, and super premium bar for six real fruit ice cream at the newly kiosk, and ensure the original taste, texture and nutritional value of fresh fruit in the ice cream. 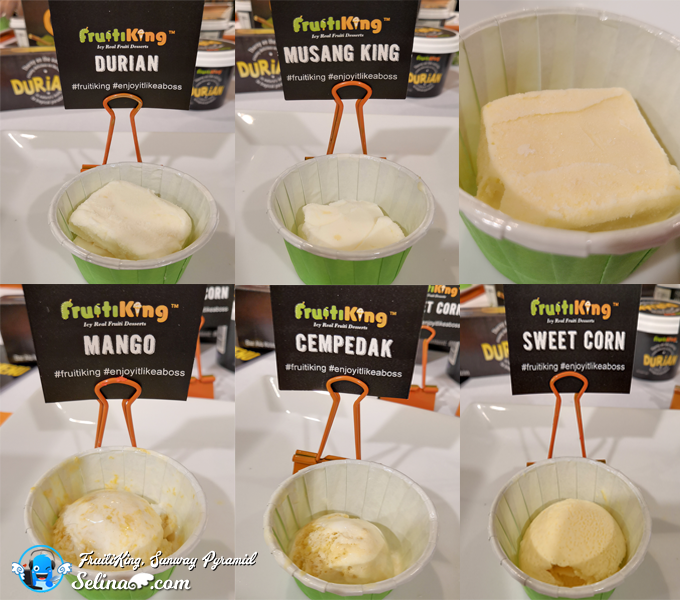 You can enjoy one of 6 premium fruit ice cream from Fruiti King - Musang King, Durian, Cempedak, Mango, Soursop and Sweet Corn. 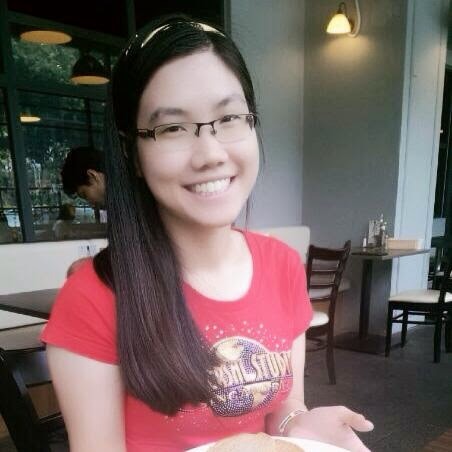 When I am eating the real fruit in the potong premium, I felt like a very tasty of fresh Durian so great! 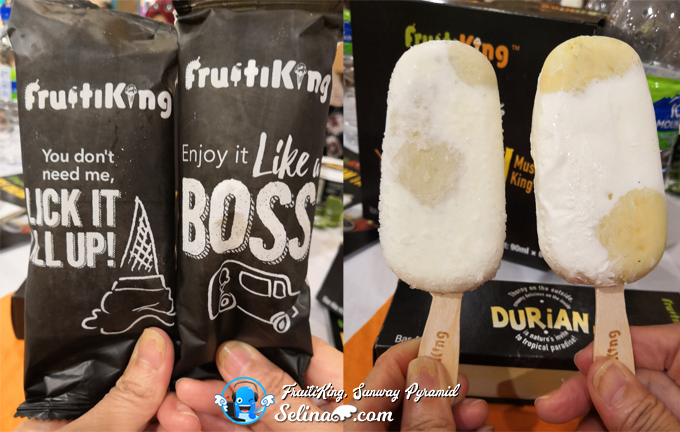 Every bite of Fruiti King's premium Ice Cream Malaysia make you will love the cooler and healthier of original "ais krim potong" which we used to eat since we are kids! 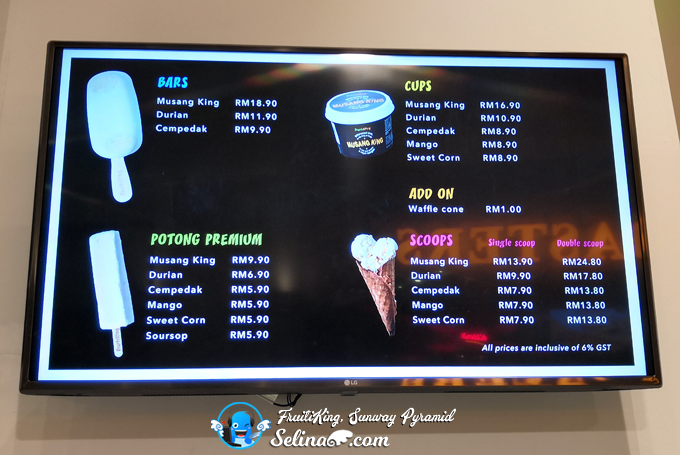 You see their menu about the Bars, Potong Premium, Cups and Scoops. There are different size of cups - you can choose, then you try to select your favorite of fruit. 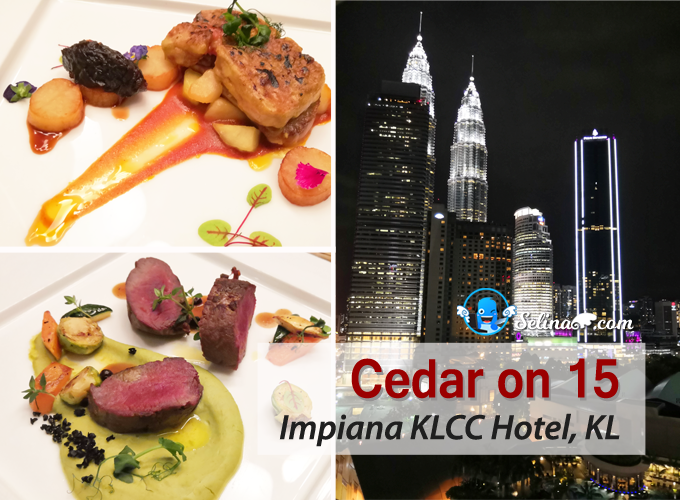 The Musang King, Durian and Cempedak are expensive a bit because they are best seller, which favored by the Malaysians. Many people bought the Bars because it have strong taste in its icy ice cream! My mom and I enjoy to see the unique of design packing before we started to eat it... I liked the Durian Bars so much, but I felt that it looks like Magnum ice cream or durian candy! They sell the best premium fruit of Bars; Durian, Musang King and Cempedak only. 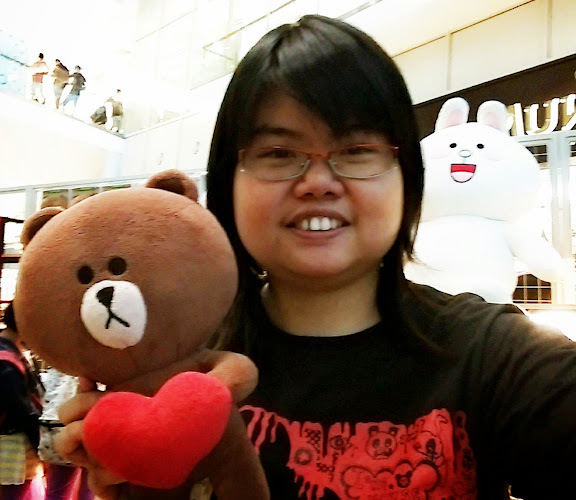 "I think that it's best potong premium, Soursop Sorbet if you want to buy a potong ice cream." It's fresh, sweet, juicy, natural, and pure healthy goodness of icy ice cream! No sugar added in their Fruiti King's scoop of ice cream. But they mentioned that they did mix the milk a bit...But, it keep to maintain a good taste of the fresh fruit. 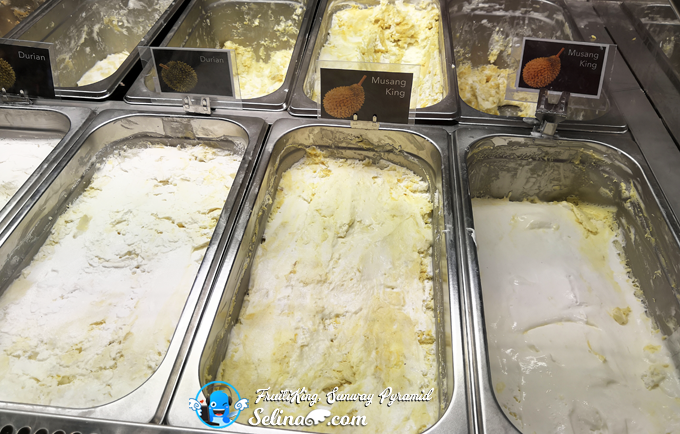 If you asked me about which is my favorite of scoop, then I really love Cempedak and Musang King! 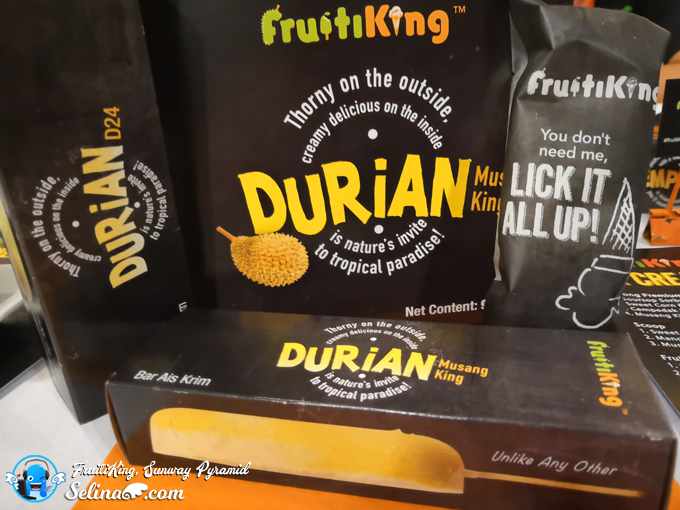 Especially, I tasted like real durian flavor! When you are hungry, you can try the Waffle cone priced RM1.00 only to add on with one or double scoop. I felt that this waffle's soft to bite or lick ice cream so easy! You can buy one big box which have some Bar Ice creams inside this packing box! 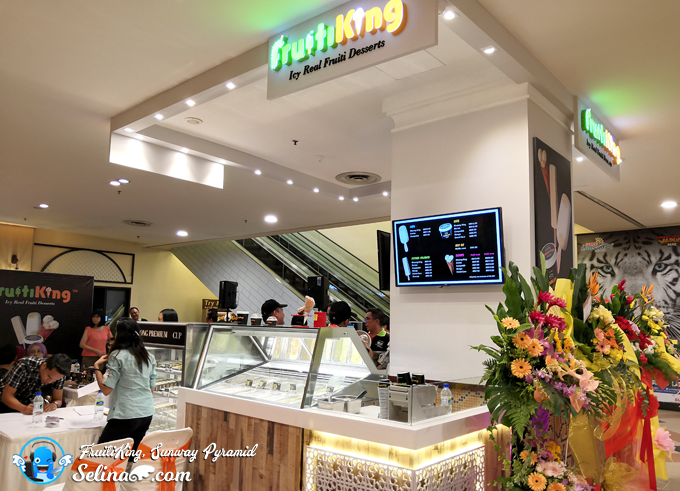 Next time, you and your family just drop at the Fruiti King kiosk, your children sure love to eat a healthy & fresh of fruit ice cream! 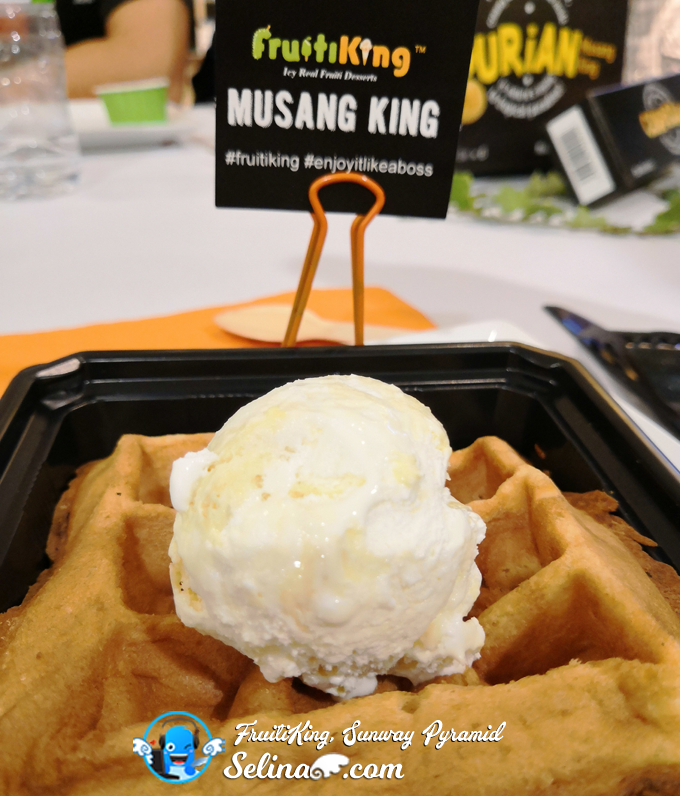 Taste a real Durian/ Musang King ice cream if you are Durian lover! And you can order with their shop online: https://shop.fruitiking.com/. 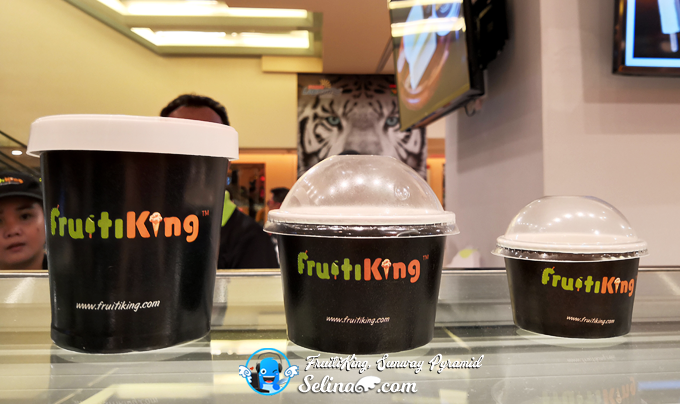 They can deliver the Fruiti King's ice cream to your doorstep home! 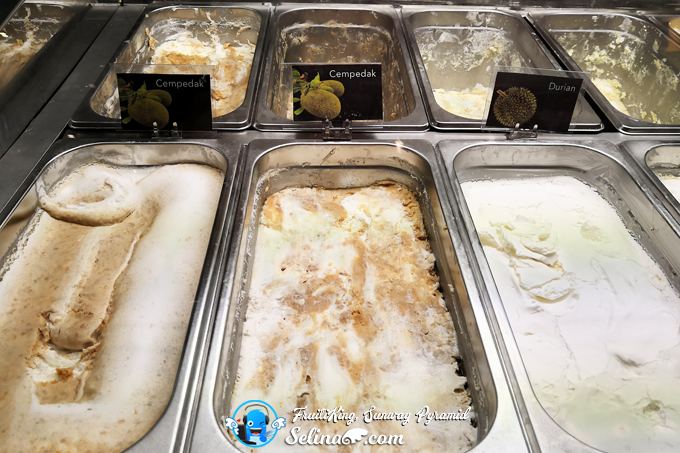 There are three type of ice cream; Gelato Bars, Cups, and Potong Premium only.